I don’t like making school lunches. I mean really, really, don’t like making school lunches, but the bothersome task is made a little bit more bearable when I have time to tuck a secret message in my girls’ lunch bags. My girls love to get lunch box notes. They’d really love it if I sent one every day, but I’m not usually that organised. But tomorrow my girls are going to get an extra surprise in their lunch boxes, not just any old lunch box note, but one of my newly design bright and cool lunch box notes! 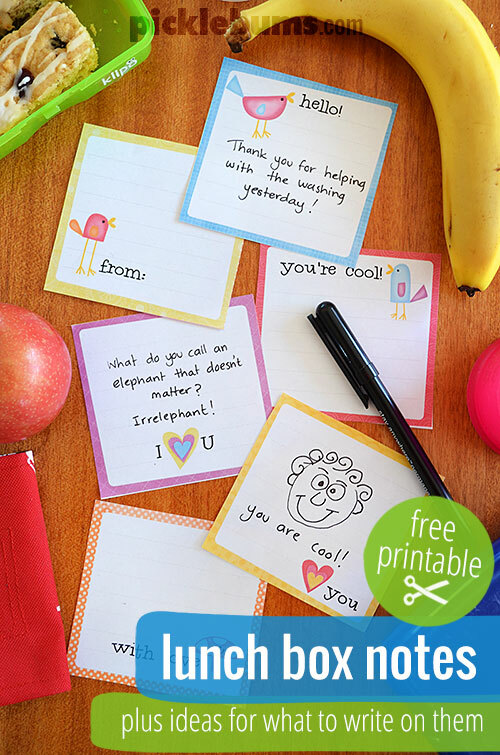 You can download the pdf by clicking on the image above and print these lunch box notes on A4 (letter sized) paper, cut them out and write your own secret messages. But what to write on lunch box notes? Keep it Simple for Beginners. When my girls just started school I kept the lunch box notes really simple. I used pictures and simple sentences that they were already familiar with like “I love you” and “Have fun!”. For my preschool buoy I do lots of hearts and happy faces, the odd dodgy drawing of a dinosaur and an occasional sticker or two which makes him happy! Now that my girls are a bit bigger and are reading quite confidently I can write a mini letter. I often tell them something I love about them, or something they have done that makes me proud of thankful. My girls love Knock Knock Jokes so sometimes I check out Knock Knock Jokes for Kids and pick a ridiculous joke to add to their lunch. Jokes by Kids also have a good selection of clean, sometimes even funny, jokes. My girls really like it when I count down to a coming event. “Only 167 more sleeps till your birthday!” is always a hit! Draw a picture! You don’t need to be a wonderful artist, the funnier looking the better I’ve found. Check out this mum’s amazing lunch box notes that she drew onto napkins! 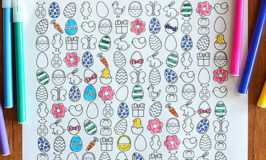 Obviously she is a talented artists, but I love that her kids bought them home to keep! If you aren’t into drawing perhaps try writing a poem. A limerick about your child always works well! Do you write the occasional lunch box note? Or perhaps you do them every day? 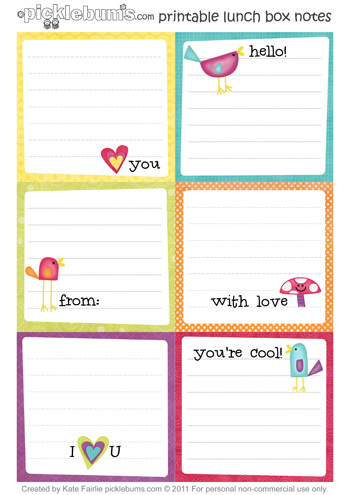 For more lunch box notes with an ‘I love you this much’ theme check these out, or find more of my free printable here. Thank for the cute printable, and for the reminder to do a little something special for my babies! I used to make my Dad’s lunch when I was in school and would hide notes inside his sandwiches, tomorrow it will be my daughters’ turn! I have some of these that I bought, preparing myself for my daughter starting school next year. I have put in a few for kinder this year, but as the chef adds her main meal to her lunch box imam not sure if it always gets to her. I love these Kate, so beautiful, your very clever, I used to (missing bananas) write notes on bannana’s too. I used to do this for my girls! They’re older now – 10 and 13, so it doesn’t go down quite as well, particularly with my teen. She asked if I could please not do it anymore :)) Your printables are very sweet! These are a great idea! My daughter and I seem to be at logger heads at the moment – she’s 12, hormonal, defiant, argumentative and moody – I’m the impatient yeller! She showed me a letter the other day that I had written to her when she started the last semester at a new primary school, before moving to high school the following semester (long story short – moved to Aus from UK – different academic years – had to do a term at primary while waiting to start high school). It obviously meant something to her to have kept it, so I’m sure she’d appreciate a note just to let her know that despite our head butting – I still love her! Thank you so much for this post. I want to let you know that I posted a link to your blog in CBH Digital Scrapbooking Freebies, under the Page 2 post on Aug. 11, 2011. Thanks again. These are so cute! Thanks for sharing your ‘printable’. I don’t have kids though but I pack lunch for my hubby and sneak in a ‘sticky’ love note once in a while. I spent years and years writing notes for lunchboxes. When my kids went to preschool, they experienced some separation anxiety and so we started hiding letters in their bags and they were only allowed to go and find them after we left. I have kept all the ones we could salvage and would love to publish them one day… we had an interesting space creature called Zebit and each day became an installment of his adventures through the year. My youngest learn to read from his morning letters at school. This is just divine – thanks so much for sharing it! Oh these are BRILLIANT thanks so much! Funny how I was *just* last night thinking about doing this for my 5yo who is currently in Prep. Love!! Thanks Kate, they’re brilliant. Big girl will adore them. Oh I love them! Thank you! Thanks for the ideas. I have done little ones with “I love you” now and again but I should write them more often. They are very sweet, Kate. They beat my crumpled notebook jobs hands down! The kids will be so happy to see one of these sweeties in their lunch box for a change. I used to put notes in my daughter’s lunch bag when she was at nursery and linked them with the letter or sound of the week – e.g. when the sound was “ee”, I drew a simple picture of a tree and wrote the word “tree” underneath. Now she is at school, she has a packed lunch just once a week, and I have forgotten to add notes. So thanks for the reminder – I think I’ll start again! Oh Kate that’s gorgeous!! I love it!! Love these! I think both my boys would appreciate a little bit of mummy love in their lunchboxes…. Btw, how do you these printable things? Is it possible to attach PDFs in Blogger? I’m not sure if you can upload a pdf to your blogger account or not. But you could definitely use a hosting service like 4shared or dropbox to host your pdf and link to them? Thank you as a parent and as Play therapist for sharing this great resource! Those are fab ideas. My daughter Curly (7yo) is a bit peeved at the moment that she doesnt get the same fun stuff as the others in her lunchbox – all the packaged snacks that we just don’t buy because they’re too expensive and, well, packaged! I think she’d get just as much fun out of having a lovely little note in her lunchbox, especially if it was a cute one she could show off to her friends. Shall take you up on that immediately! I’ve always tucked little notes into lunch bags when I know the kids are having trouble at school, or feeling a bit off. It’s a reminder to do it more often, and just for fun. Though I’m no longer allowed to tell Mr 10 I love him or sign it with kisses in case his friends see it! Thanks soooo much! I printed these out, place a picture on the back and laminated them. Now my sister (who is going way to Hungary in October) has lovely little bookmarkers with pics of us, her nephew and my parents to keep her company. On the front I wrote funny quotes about sisters. What a lovely way to use these little notes! thanks so much for taking the time to let me know! 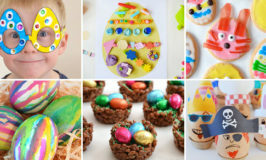 So cute and great ideas. I’m much the same as you …I don’t tuck notes every day but when I do, I love it and so do my three little ones. I tailor each of them specific to my children’s interest and reading level but “I love you” is always included. I typically applaud their efforts in school or behavior. Mostly words of encouragement …and always a picture or image that lends visual appeal. Thank you for the cute little notes, my 9 year old son wants to send a little love note to his first crush. aahhh! How lovely, I used to put notes in my hubby lunch as he worked nights alot… the use to write something on the back for me to find when I washed up his box. 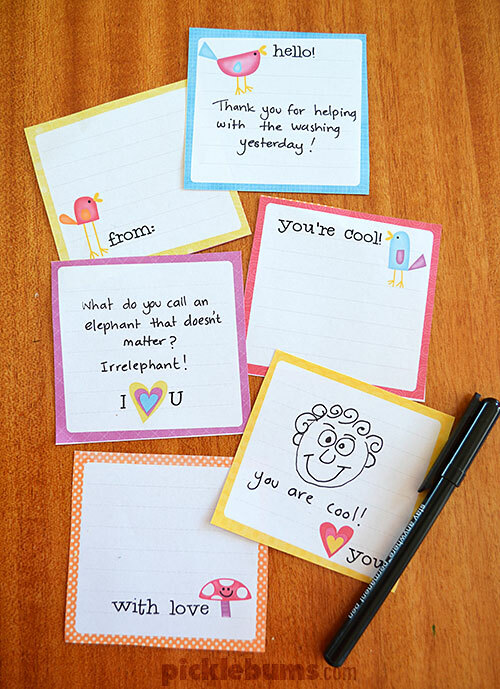 These notes are super adorable, and I love all the ideas for different ages.